Be the first to share your favorite memory, photo or story of Sara . This memorial page is dedicated for family, friends and future generations to celebrate the life of their loved one. Sara Elizabeth Freisinger, 38, of LeClaire passed away Oct. 16, 2017, at St. Mary’s Healthcare and Rehabilitation, Davenport, after a short but hard-fought battle with melanoma. Per her wishes, Sara will be cremated with a private family service. Quad-Cities Cremation Center is assisting the family with arrangements. A celebration of life will be 4:30 p.m. Tuesday at Sunrise Golf Course in Bettendorf. All are welcome and dress is casual, per Sara’s request. Sara was born May 31, 1979, in Davenport, the daughter of David and Cynthia Hoke Power. 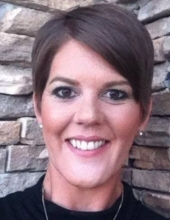 Sara was the Department Manager at Younkers in Des Moines, where she worked fulfilling her love of fashion and shoes. Sara cherished spending time with her son, Gavin, as well as being with family and friends. Survivors include her parents, David and Cynthia Power; son, Gavin Knerr; brother, Brian and sister-in-law, Sara Power; her niece, Taylor VanSeveren; nephews, Kaiden and Chase Power; and several aunts and uncles. To plant a tree in memory of Sara Freisinger, please visit our Tribute Store. "Email Address" would like to share the life celebration of Sara Freisinger. Click on the "link" to go to share a favorite memory or leave a condolence message for the family.